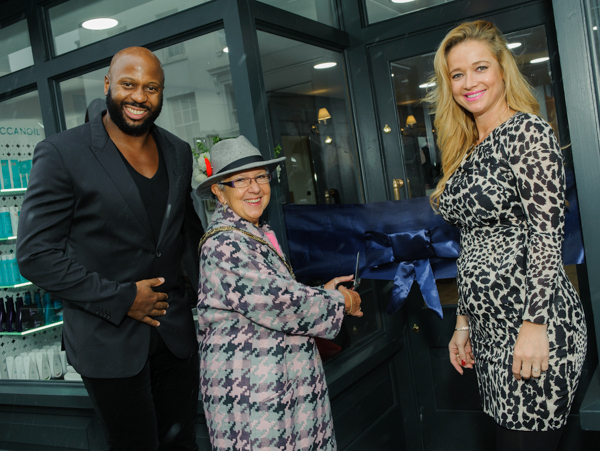 Award Winning Rush Franchise owner Nicola Keith-Jopp opened her second Rush salon in Dorking with her partner Marc Cantzlaar. Following the success of Rush Reigate opened in 2009, Nicola decided to expand her franchise empire to a second site in nearby town Dorking. Welcoming a busy salon on Saturday 7th November, Nicola and Marc opened their doors with Council Chairman Margaret Cooksey alongside Operations Director George Phouli and Rush Co-Founders Andy Phouli and Stell Andrew. The success of Rush Reigate is down to Nicola’s hard work and dedication to her customers and her team and we are confident Rush Dorking will follow Reigate’s footsteps and be a great success. Nicola has been recognised for her talent in the industry being nominated as British Hairdressing Franchisee of the Year at the HJ British Hairdressing Awards as well as winning Franchisee of the Year 2014 at Rush’s internal awards. We catch up with her to find out about her franchising journey and advice for anyone considering franchising in the hair and beauty industry. Why did you decide to open a second hair salon franchise? NICOLA: After opening and running Reigate for the last 6 years, I want to repeat the success. I’m so proud of what I have achieved there I know I can replicate it here in Dorking. I believe in the brand and all the support Rush offer their franchisees is second to none. Why did you choose to franchise in Dorking? NICOLA: I’m familiar with Dorking and it’s a beautiful town with a close knit friendly community. There’s definitely clientele in the area who are looking forward to having a Rush salon in the neighbourhood. Having Reigate and Dorking close by is an advantage for me as they can support each other closely. I am looking forward to bringing my experience over to Dorking and getting to know new clients in the area. Tell us about the salon interior design? NICOLA: Rush Dorking is very unique, the salon is designed with a bespoke rustic, vintage feel with a touch of elegance. We’ve taken influence from the style of an old British village with wooden panelling, and perfect lighting to set the atmosphere. I’m very excited! What advice would you give to someone thinking about opening a hair salon franchise? NICOLA: It’s great if you want a social, creative career working with lots of different people. Think long and hard before you franchise because it’s a big commitment and you need to be passionate about it. Hair and Beauty is an exciting growing market with high demand and it’s constantly evolving. Coming to Cambridge Part 1.